Okay, let’s cut to the chase. The bar has been raised. A new standard in biker-friendliness has been set. 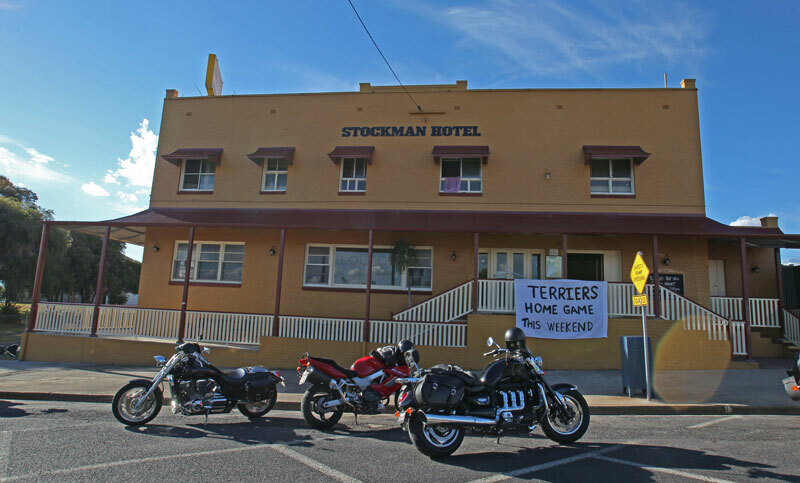 If there is a pub in Australia which offers more to visiting riders than the Stockman Hotel in Texas on the NSW-Qld border then I don’t just want to visit it, I’ll probably want to live in it! Now I know that’s not the way to start a review. I know you’re supposed to start slow, give an introduction, provide full details and a critique, a breakdown and documentation before arriving at a reasoned conclusion and an accurate rating. But a pub which re-writes the rules of biker hospitality warrants a different type of review and now that I’ve given away the ending, let’s get down to the nitty. 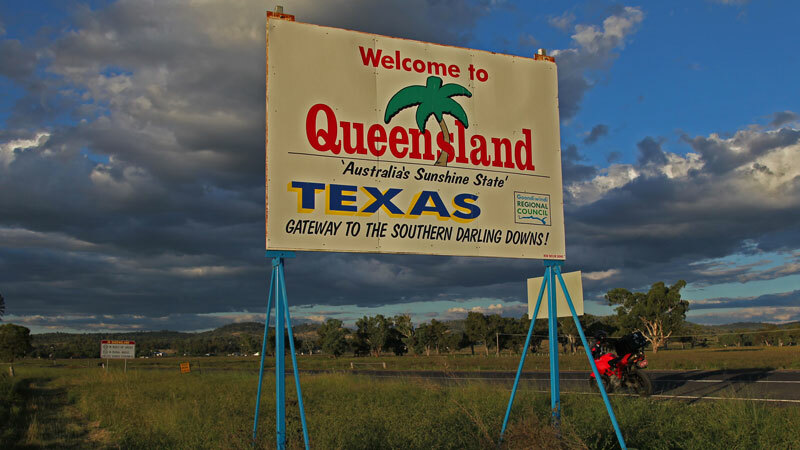 Texas is a town of just 900 souls on Qld side of the Dumaresq River between Stanthorpe and Goondiwindi. It’s rolling river landscape with classic open country sweeping curves and not too many long straight stretches. The back roads off the Bruxner and Cunningham Highways are mostly deserted, well surfaced and a joy to ride. And being a comfortable 4-5 hour ride from Brisbane, the Gold Coast or Northern NSW, it’s a perfect overnight spot for a weekend ride. 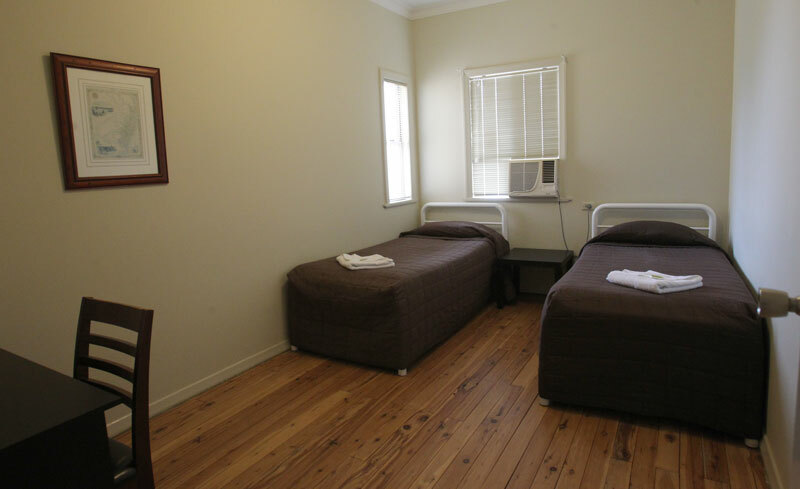 There’s varied accommodation: a motel, a B&B, a caravan park with cabins and at the town’s epicentre is The Stockman Hotel. So after you’ve chilled out and discussed when was the last time a publican bought you a beer, you might want to get your kit upstairs and into your freshly painted room. The Stockman has 8 Pub rooms with 2 doubles and six twins (two single beds). All have aircon and oil heaters to dry your gear in winter. 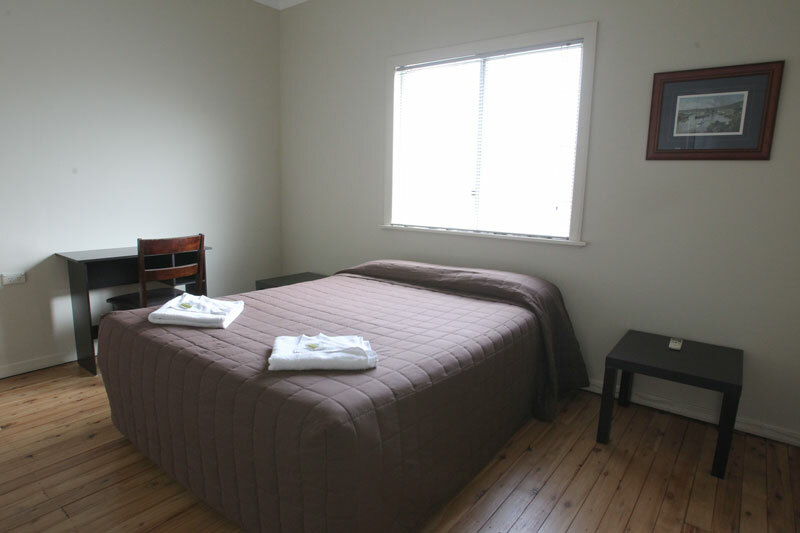 There’s also 5 Motel style rooms all with a double bed and a single. 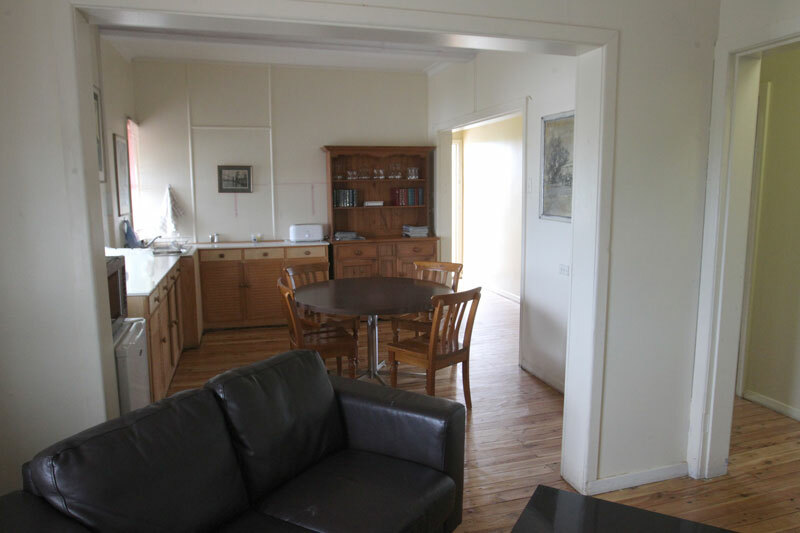 You’ll also notice the spacious common room with large frig, digital television, a stack of bike mags including subscription copies of Australian Motorcyclist and of course tea and coffee making. Back down in the bar you’ll find the locals very friendly and inclusive. 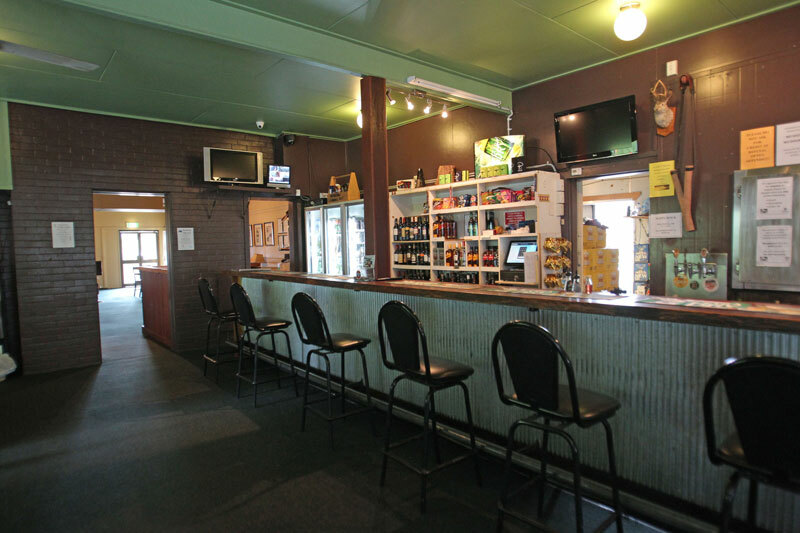 There’s a jukebox and a couple of pool tables down the back and a smoking area at the side.. There’s full TAB facilities including Keno and a half dozen pokies if that’s your go. The restaurant serves dinner 6 days a week, Aussie meals Monday to Thursday and good Chinese over the weekends. In Feb when the Chinese took a month off, a guest chef wowed everyone with his great meals and so by now the food regime may have changed but you’ll still be assured of a good feed. Before you hit the refreshments too hard, ask for the Bikers’ Kit from behind the bar. 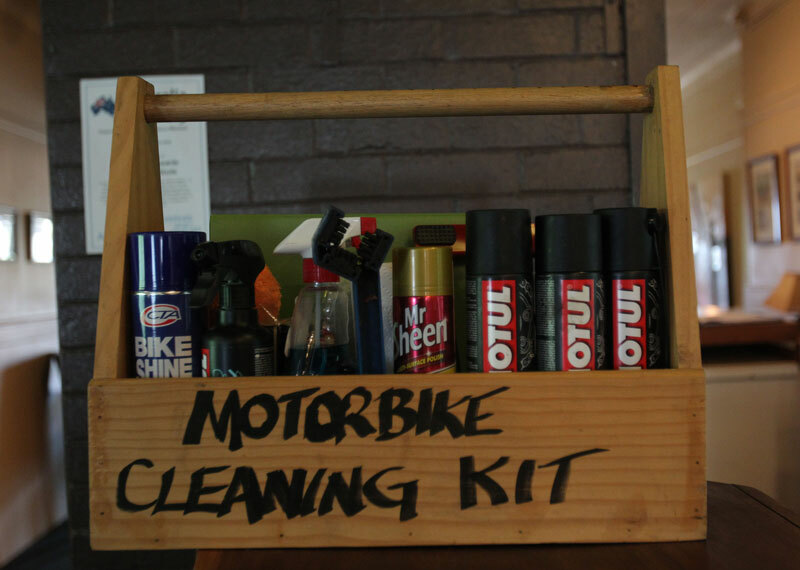 I’ve never seen a free kit to rival this: There’s Helmet clean, Visor clean and all the necessary cloths but there’s also a full range of Motul Chain Clean and Lube together with a U brush and a set of rollers for bikes without a centre stand. And that’s all part of the deal for stayers. But wait there’s more! There’s no steak knives but there is also a folder of maps of the region showing loop rides for all bike and rider types clearly showing any sections of unsealed roads plus things like fuel and the top places to take a dip in the river. You want to ride one of the routes? No problem, just take a copy from the folder! Okay, so what are you prepared to pay to sleep in a pub with all that? I know I’ve paid up to 80 bucks for rooms with no air con, no power outlets and certainly no free drink or bike cleaning kit. Well a pub room at the Stockman Hotel in Texas is going to set you back $44.00 if you are own your own, $27.50 each twin share or $55.00 for a double room. The motel rooms start at $66.00 up to $88.00 for three folks sharing. Of all the groups that stay at the Stockman, bike riders have caused her the fewest problems. She reckons we are well behaved if loud and untidy at times, and that we are the most courteous and easy going guests she has. Helen deliberately does not serve coffee or breakfast at the pub. It’s the pub’s philosophy to share the joy and so encourages guests to visit the café and coffee shop just a little up High St and so support others in this great little town. Service Rating for the Stockman is a whopping 95 and with a single room rate of 44 bucks, we have a value rating of 215, the highest we’ve ever encountered. I can guarantee you two things: Wherever you are coming from, you’ll enjoy the ride to The Stockman at Texas, and whether you ride there on your own or with a group of 40, you’ll enjoy your stay.